Meet the compassionate veterinarians of Pacific Veterinary Hospital! 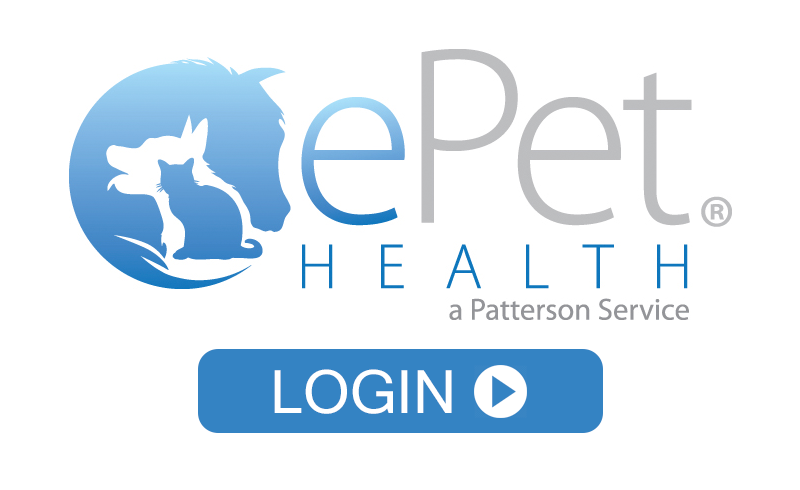 We know choosing the right veterinarian to care for your pet is a hard decision. to our South West Portland & Multnomah Village animal hospital. Our practice welcomes you into our family from the first time you walk through our door. Our veterinarians aren’t trying to rush you out of the exam room! We believe in taking the time to teach in-person and online, to ensure you are prepared to care for your furry friend. You’ll always leave your pet’s nose-to-tail check-up understanding as much as possible about their health, and we use social media & emails to stay in touch in between visits. Dr. Frost received her Bachelor’s degree in Biology from Reed College and her Master’s degree in Zoology (Neuroscience) from the University of Iowa. Prior to veterinary school, she was employed by the U.S. Forest Service as an engineering aide and by Reed College and Legacy Health Systems as a biomedical research technician, working with slugs, snails, barnacles and electric fish. She received her DVM from Oregon State University and started practice in a rural setting in southwest Washington state, where she saw bald eagles and great blue herons daily. Although southwest Portland doesn’t offer quite the same scenic views, Dr. Frost loves being in a “family” practice, being able to walk to work and when it isn’t cloudy, seeing Mt. Hood on her daily walks. Her special interests are in preventive care, geriatric care and zoonotic/reverse zoonotic diseases (those which can be passed from animals to humans and from humans to animals). When not at work Dr. Frost enjoys reading, gardening, walking, Pilates, music, camping, and hiking with her human and canine family, and the never-ending remodeling of her 1940’s era house. She shares her home with her partner, Steve; Pearl, a 15 1/2 yr. old Collie mix; Devlin, a 15 1/2 yr old long-haired kitty and Q Bob, a Ringneck Dove . Dr. Frost is pictured with her old girl, Pearl! 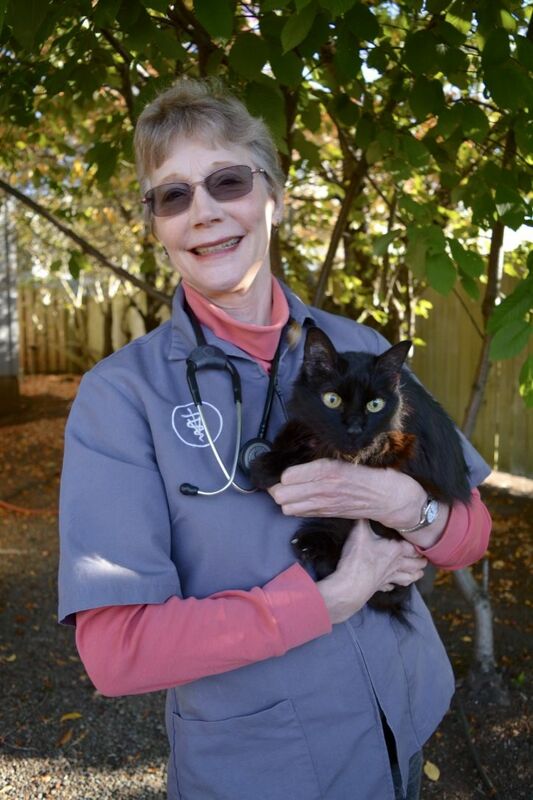 Born and raised in Oregon, Dr. Grossen completed her childhood dream of becoming a veterinarian when she earned her DVM from Oregon State University in 1993. She also has a Bachelor of Science degree in Zoology from OSU. Dr. Grossen has been practicing small animal medicine at Pacific Veterinary Hospital since June 1995. She became a co-owner with Dr. Andrea Frost in 2001. 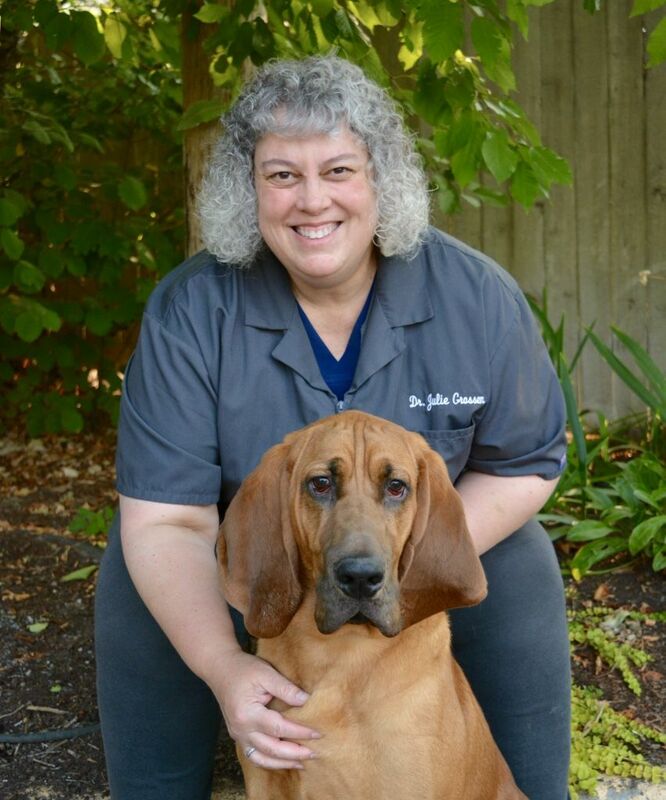 Dr. Grossen lives in Milwaukie with her husband John, Bloodhound Wilbur and cat Alvin. On her time off she enjoys camping, photography, reading, cooking, travel, scrapbooking and cheering on her beloved Beavers. GO BEAVS! Dr. Grossen is pictured with her hound Wilbur! Dr. Verdoliva—Dr. V to her clients—was born and raised in Puglia, Italy. She went to University in Bologna, Italy where she earned her degree in veterinary medicine in 2002. After moving to the United States Dr. Verdoliva told her husband that she needed to practice veterinary medicine, her love for veterinary medicine was so great that she returned to school and completed one year of clinical rotation at Oregon State University in 2006, before taking and passing the NVBME jurisprudence exam for Oregon. 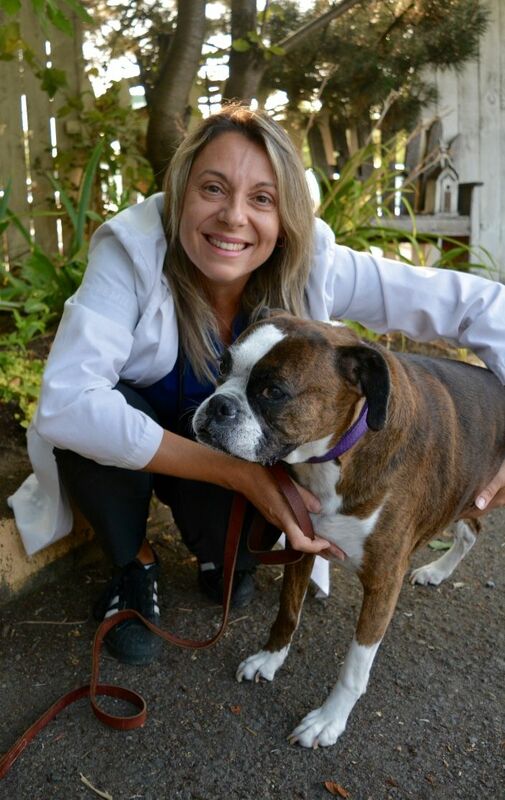 Dr. Verdoliva also worked at the University of Pennsylvania’s Cardiology department for six months before moving to Portland with her husband and joining our team at Pacific Veterinary Hospital. As a veterinarian, Dr. Verdoliva likes ultrasound because of its non-invasive ability to see inside the body, as well as internal medicine. At home, Veronica lives with her husband and their two young children. They also have two cats 17-year-old Furio (Dr. Verdoliva’s first Christmas present from her husband) and recently she adopted a two-week-old kitten she was fostering named Lupo (Wolf). 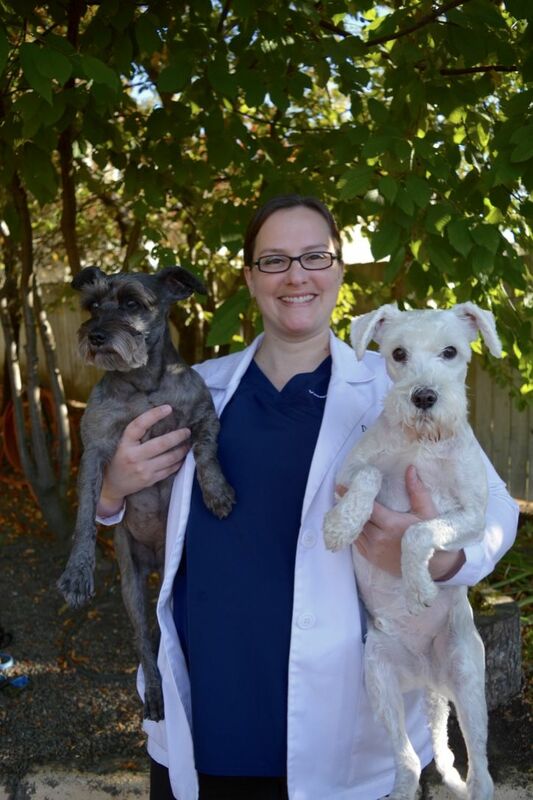 Dr. Bukowski is a transplant from the Midwest where she completed her bachelor's degree in Animal Sciences at Iowa State University in 2007 and received her veterinary degree from the University of Illinois in 2011. Originally from the northwest suburbs of Chicago, she loves oregon and seeing mountains every day. When not in the clinic, Dr. Bukowski enjoys playing upright bass in a communicty orchestra and piano, crocheting, reading and spending time with her two mini-Schnauzer mixes, Lily and Scooter.